In our opinion speculative short positions (half) are justified from the risk/reward perspective for gold, silver, and mining stocks. The most important thing that we saw in the markets yesterday was the major decline in the U.S. Dollar Index and the lack of proper response from gold, silver and mining stocks. Such a bullish factor should have made precious metals move much higher – but they didn’t… Or did they? All charts courtesy of http://stockcharts.com. Gold didn’t even rally on Tuesday. It declined by $1.80, which is odd and bearish given that the USD Index declined heavily. 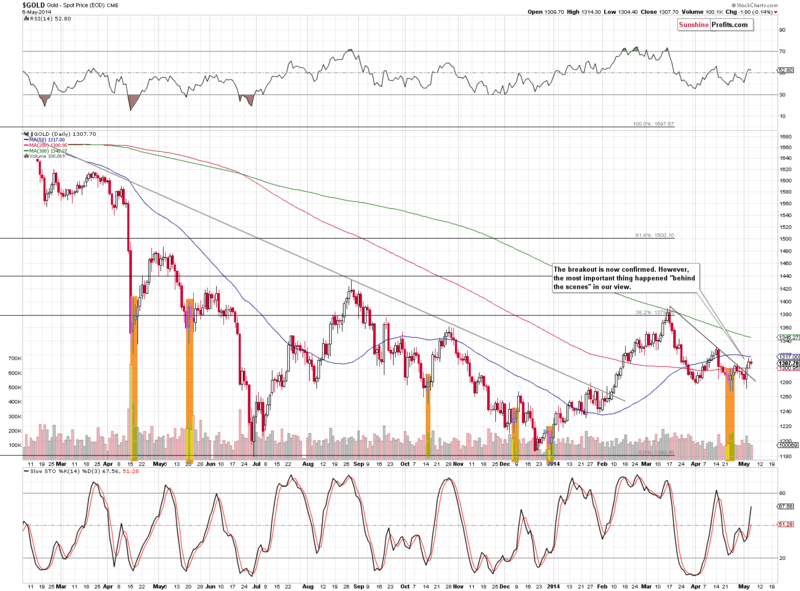 The decline itself wasn’t significant, but we can point out that gold didn’t move above the 50-day moving average. Basically, the Tuesday session was bearish on its own. Since the currency markets were so important on Tuesday, let’s take a look at both: the USD and Euro Indices. 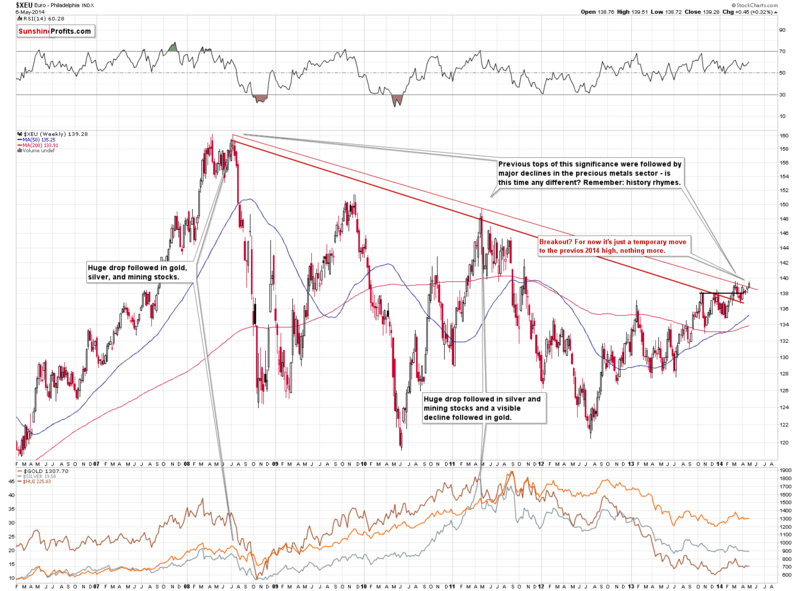 Generally, we saw a breakout above the declining, long-term resistance line in the Euro Index. At this time, however, the breakout is unconfirmed, and without meaningful implications. What’s more important, though, is how gold and silver reacted. They didn’t. Gold and silver moved just a little higher and that’s highly visible underperformance in case of gold and silver. They are not even close to moving to their 2014 highs.